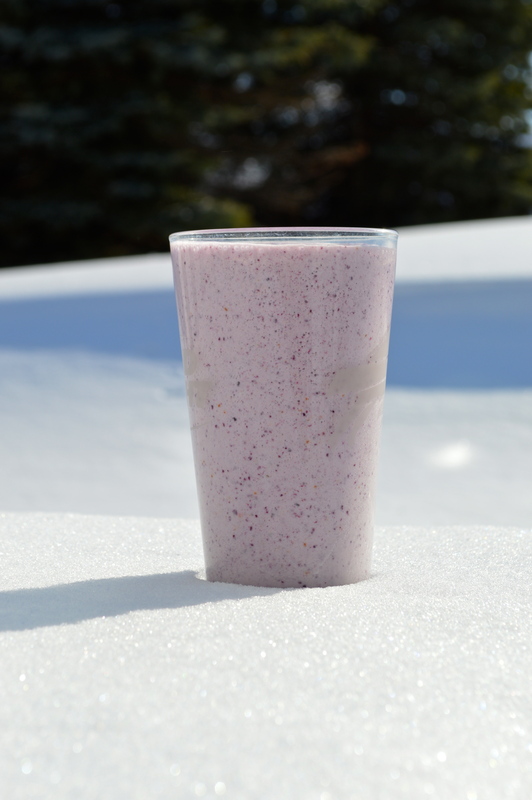 This little smoothie is awesome for so many reasons. The blueberries + pomegranate seeds are packed with antioxidants, the yogurt has pre + pro-biotics, the protein helps repair + build muscle while keeping you full and the almond milk is an awesome way to get calcium. I love this after a workout or I especially like it before hockey because it holds me over through that + my workout after until I get home for dinner. It’s easy to make, crazy yummy + can be switched up depending on your tastes. You could throw a banana or an apple or an orange in it, use a different flavor yogurt or even greek to get extra protein! 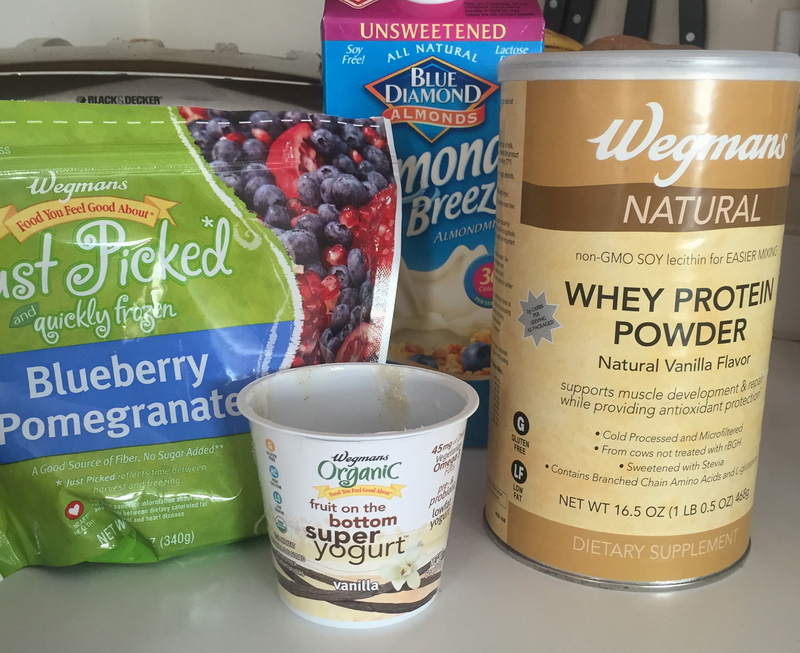 Here’s what I use in mine: 1 cup unsweetened vanilla almond milk, 1 6oz container pre + pro-biotic yogurt (I use vanilla flavored), 1/2 cup mix frozen pomegranate seeds + blueberries and 1 scoop vanilla flavored natural protein. Some of these are a local grocery store chain so you might not be able to get the exact ingredients but you can swap them out for similar ones! 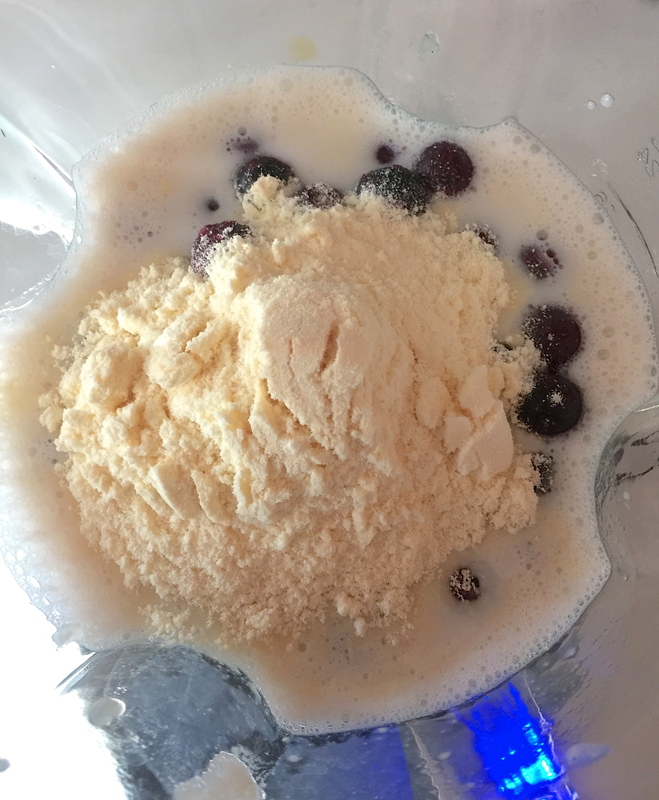 Throw everything into a blender and blend for a couple of minutes and enjoy!